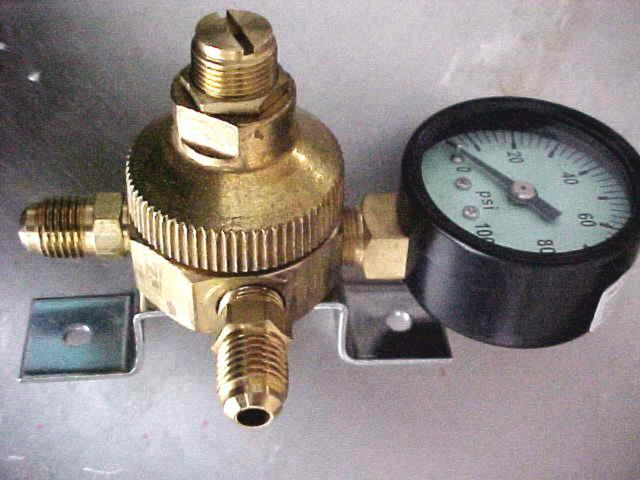 Generic secondary regulator (100 psi) connects to your primary CO2 regulator as your second pressure step down going to your syrup pumps in your soda fountain system. You will need two (2) 1/4" swivel nuts, two (2) 1/4" stems, and flare washers to attach to your high pressure hose. 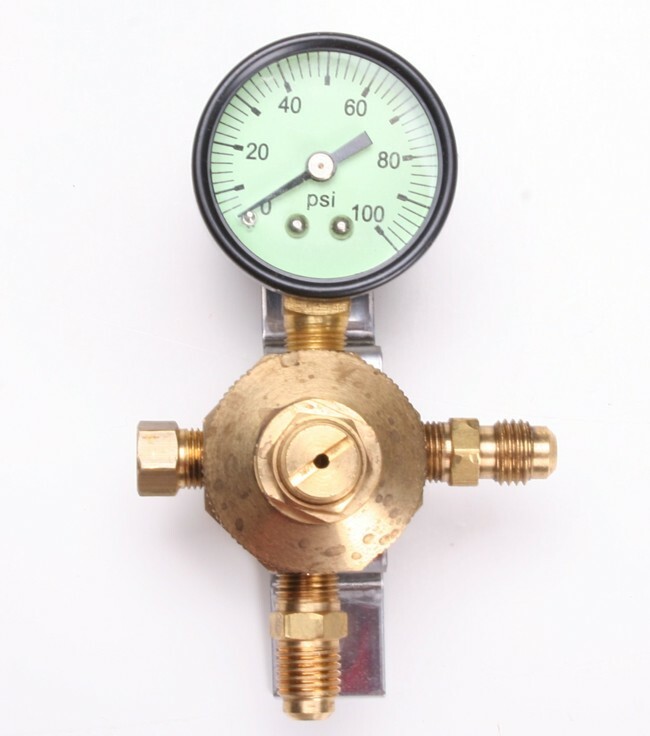 Adjustable screw allows user to set desired pressure from 0-100 psi.